Ulundhu laddu recipe / urad dal laddu – Hope you friends had a blast in this Diwali celebration. I couldn’t share more recipes for this Diwali. Sorry, my dears. I come with a sweet and healthy recipe ulundhu laddu. It has a name Sunnundalu in Andhra. It is Nellore special sweet recipe I always love roasted urad dal flavor when I see urad dal laddu while browsing I tempted to try out. And yes it doesn’t disappoint me on first try itself. 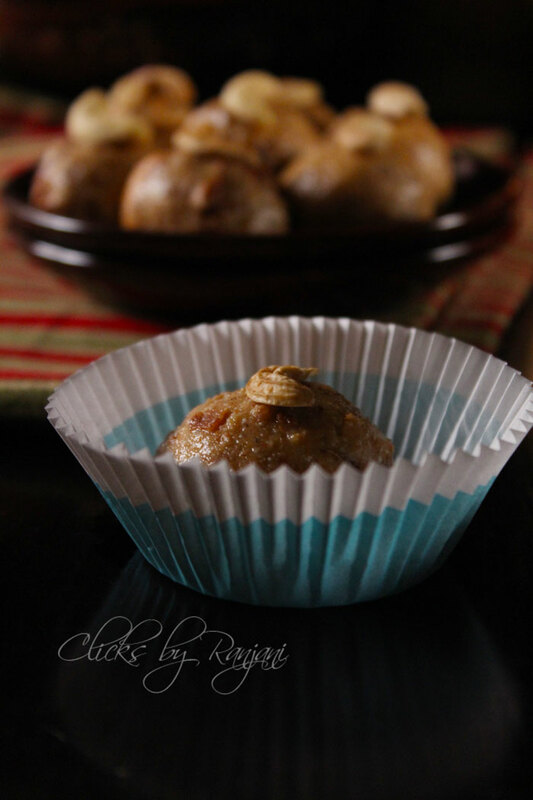 The laddus were perfect to taste and the ingredients level are perfect to make. The only thing is sugar  recent days I am planning to cut down sugar intake. I thought to make it using jaggery instead of sugar but I don’t want to take a risk on an experimental recipe. Definitely, I will try making this ulundhu laddu recipe using jaggery and it comes out successfully I do share the measures with you all. Do try and enjoy these delicious laddus and it hardly takes 30 mins including preparation and making. Also, you can store for a month I can say. Friends don’t miss out this recipe especially ladies as urad dal is more important for women’s health. Heat a wok, dry roast urad dal till nice aroma comes and it turns slightly golden.Do this process in low flame. Add a tbsp. of raw rice to it and stir for a second. Transfer to a wide plate and cool completely. Then transfer mixie jar and grind to a fine or slightly coarse powder. In the same pan , add a tbsp. of ghee and roast cashews and raisins, drain the excess ghee and keep on a plate. Add the remaining ghee to it, keep the flame low and add the ground urad dal rice mixture and stir. Add sugar to it and stir again. Add roasted cashews and raisins, cardamom powder to it. Give a quick stir and turn off the flame. When it is warm, take a small portion and make as laddu. Do the same for remaining mixture. Keep the flame the medium low or low while roasting urad dal. If it is over roasted, it will give a burning smell and tastes bitter. Adjust sugar as of your taste. The ¾ cup is enough if you want to add 1 cup of powdered sugar. 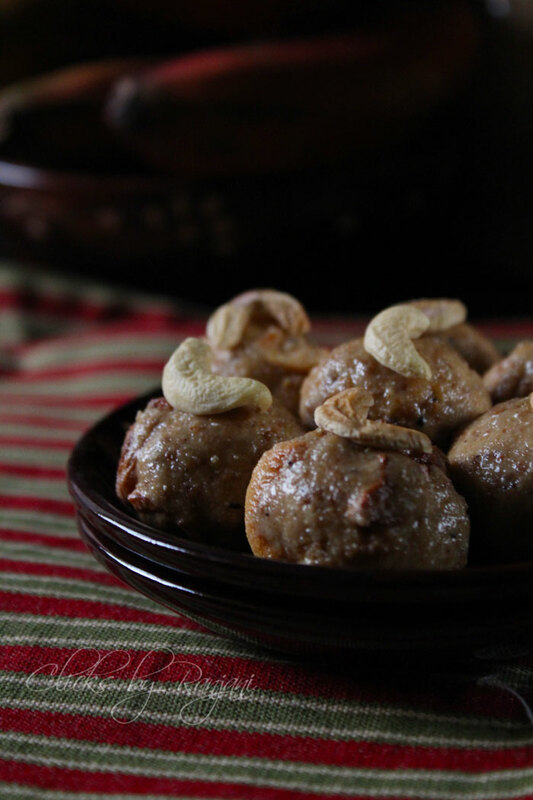 You can make laddus when the mixture slightly heat that is hand resisting heat level. If it is completely cool, you cannot able to make laddus properly it will break easily.